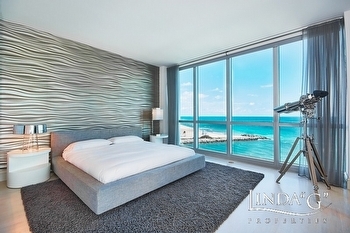 [ Miami Beach, FL 6-13-2012 ] Linda “G” of ONE Sotheby’s International Realty Miami Beach proudly announces the sale of a one of a kind combination residence at ONE Bal Harbour. 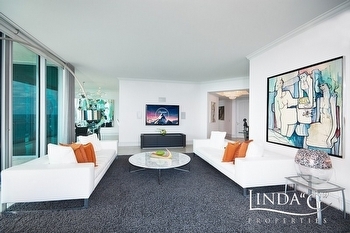 Linda G's most recent sale was a custom combination Sky Home #1601-02. 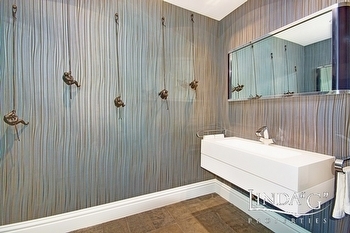 These 2 residences combined created a stunning 4 bedroom + Den, 4.5 bath, 4,050 sq. ft. oceanfront retreat. 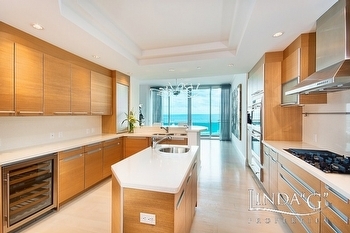 This combination residence oceanfront wrap-around terraces boasts a 100 ft long (900 sq. 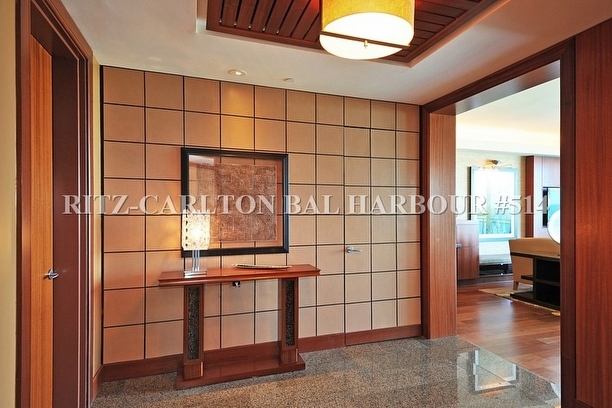 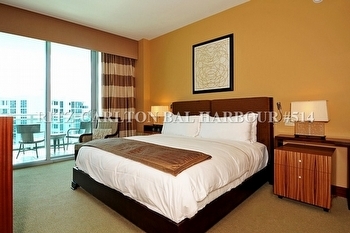 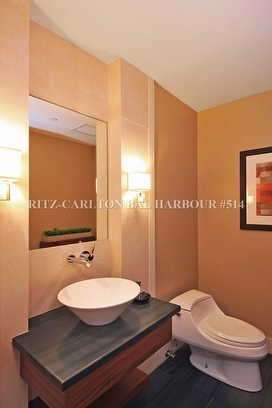 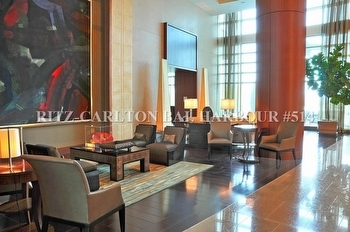 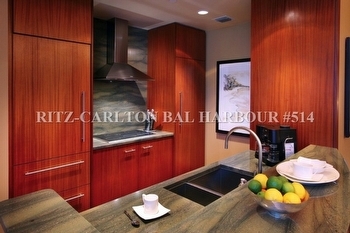 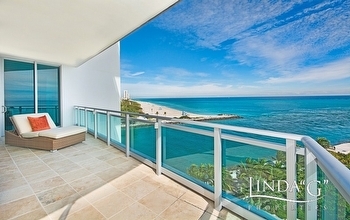 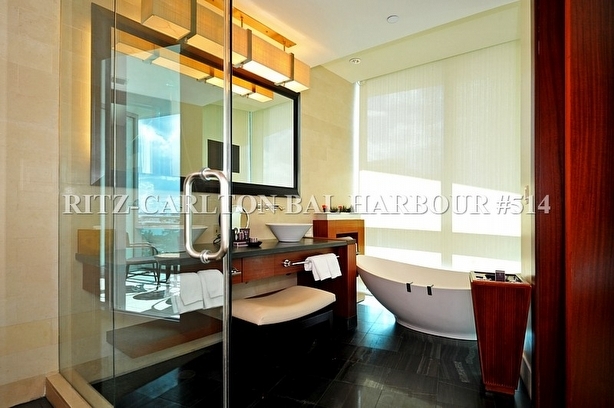 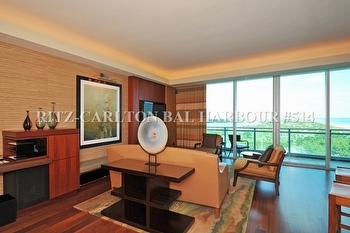 ft.) endless direct ocean view main terrace with breathtaking ocean, inlet and coastline views and an additional 100 sq. 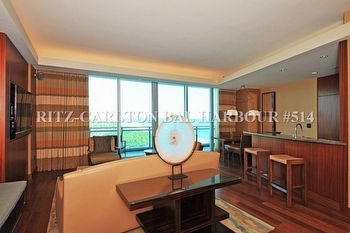 ft. of twin Intracoastal Waterway, bay and sunset view terraces . 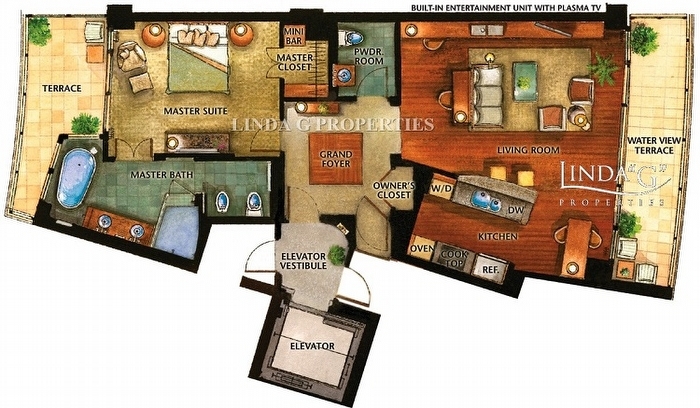 This rare gem sky home is a sanctuary where one can succumb to total exclusivity, relaxation and a life of living in the lap of ultra luxury. 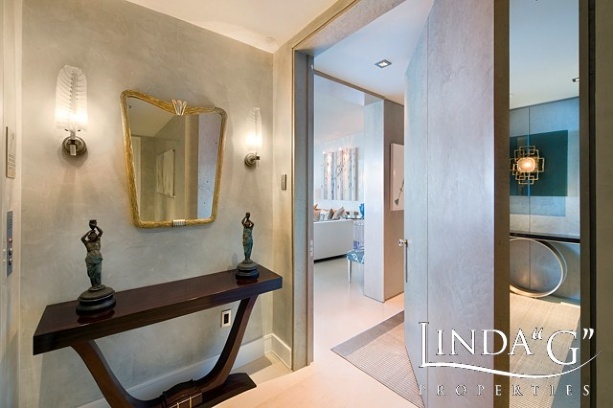 Linda "G" stated "I am very happy to have this opportunity to bring my client together with the seller and be able to make my client’s dreams come true. 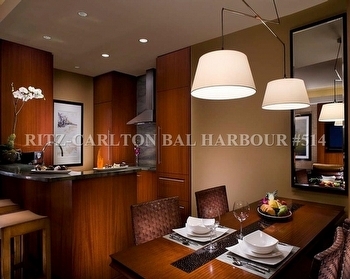 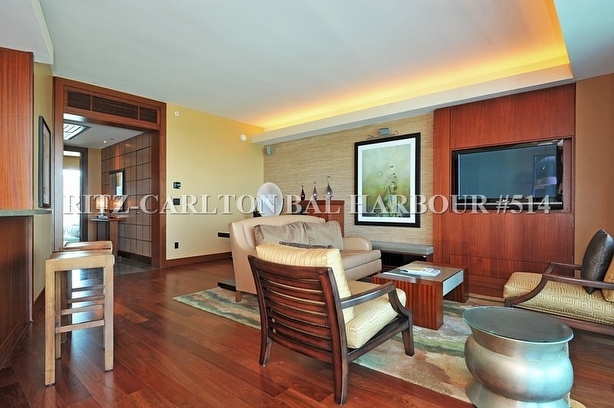 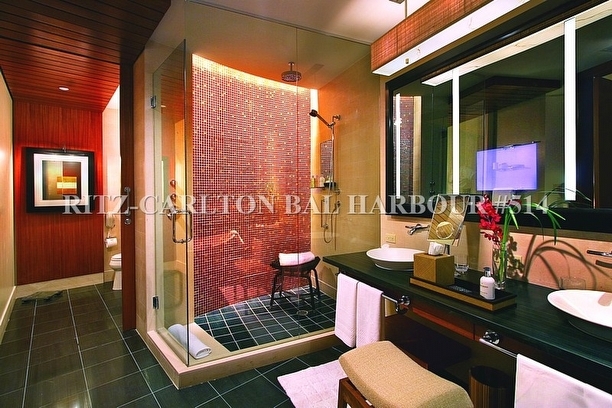 The contract price for this combination luxury residences was $5,650,000. 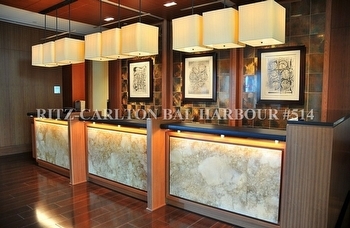 The pricing and sale resulted with both the buyers and seller on “cloud nine”. 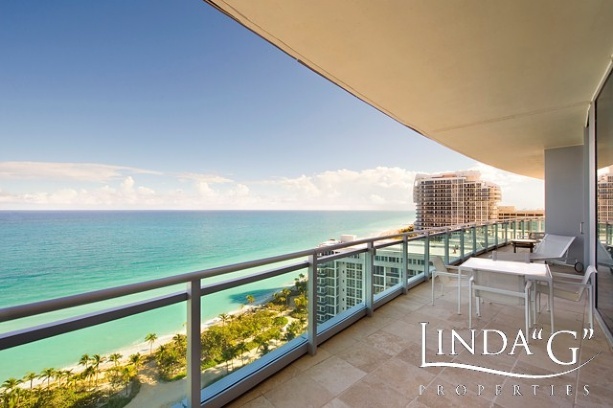 Linda "G" added "The inventory of listings available for sale at ONE Bal Harbour is today at it’s lowest since the building officially opened in 2007. 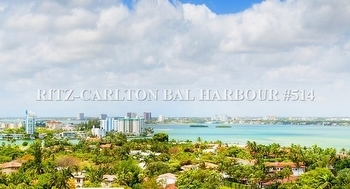 ONE Bal Harbour has always been a highly sought after condominium property, and the fact that more owners are not interested in listing their units even in this "sellers market" shows just how much the residents at ONE Bal Harbour enjoy living in this beautiful and unique property." 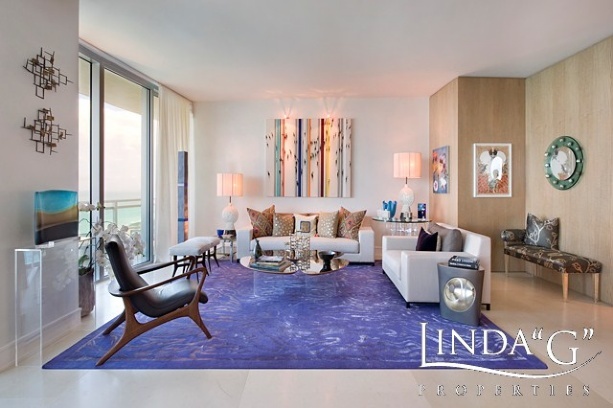 Beth Butler, President of ONE Sotheby's International Realty offered congratulations to Linda "G" Gustafson, one of the company's top producing agents, with her third sale at ONE Bal Harbour this year. 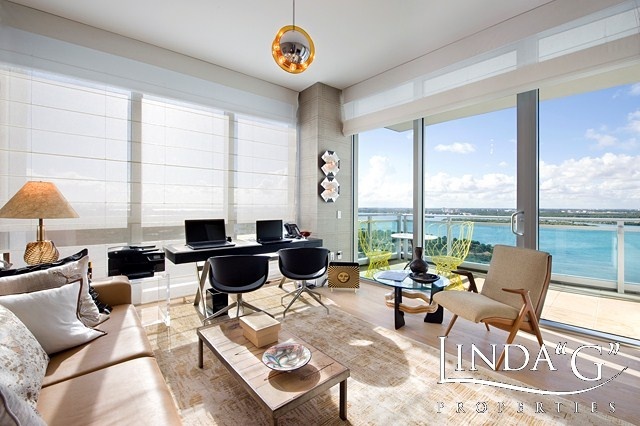 Linda "G" is the ONE Bal Harbour specialist and listing agent, utilizing exceptional marketing strategies, while always working diligently in the best interest of her buyers and sellers. 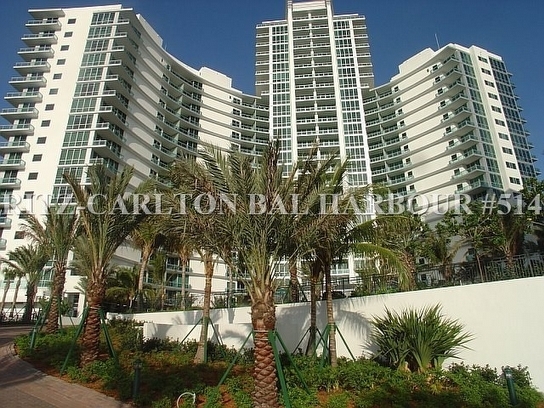 One Bal Harbour has had only (4) condominium residences sold for this year 2013. Linda "G" sold 3 of the 4 residences sold to date. 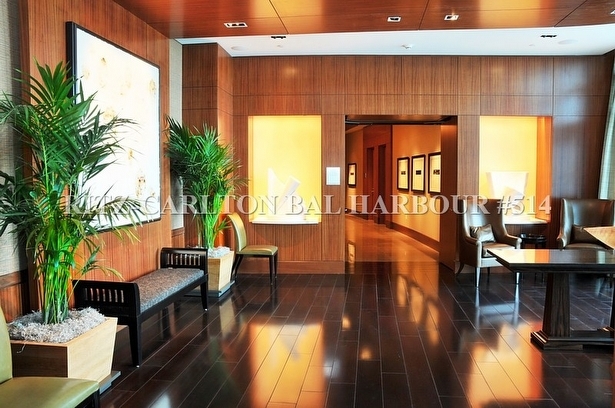 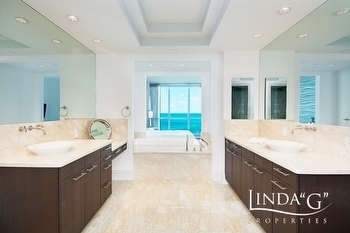 Linda "G" is considered by many involved in South Florida real estate as the ONE Bal Harbour expert. 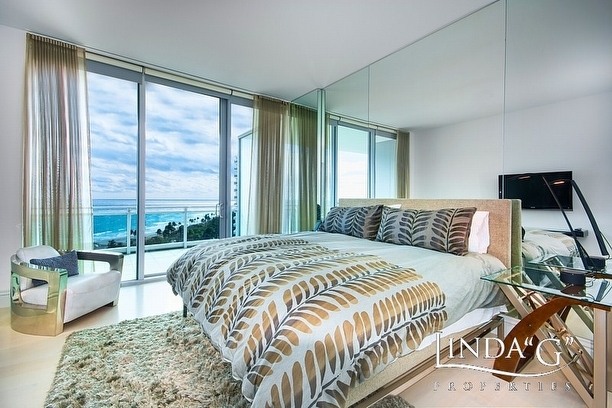 Linda was fortunate to be a part of the original sales team at ONE Bal Harbour for the original developer, WCI Communities. 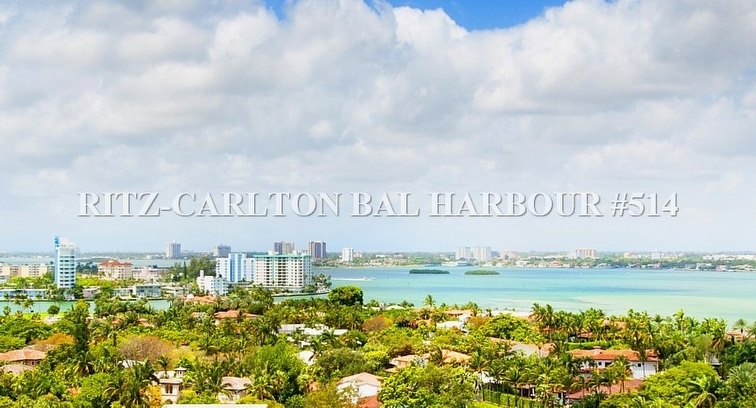 She worked full time at the property as ONE Bal Harbour broke ground and rose to become the iconic Bal Harbour condominium & resort property it has become today. 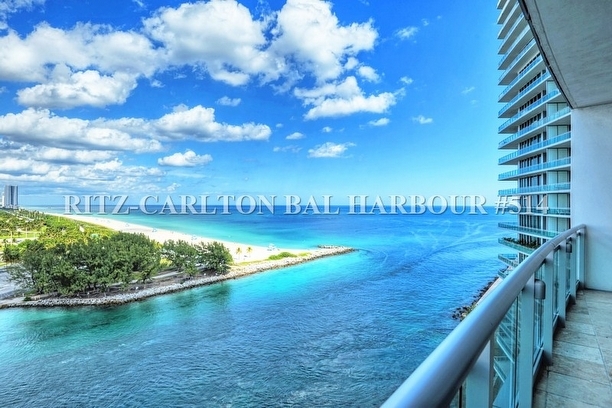 Today, ONE Bal Harbour is still one of the ultimate destinations for those visiting the world renowned Greater Miami Beach village of Bal Harbour. 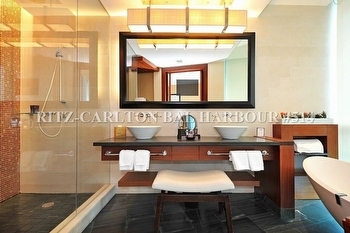 The resort & spa offers exceptional amenities and services throughout the property. 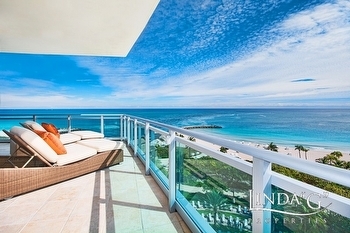 All the amenities and services provided at the resort & spa are also available to all the full time residences, making this condominium property a highly sought after location to call home. 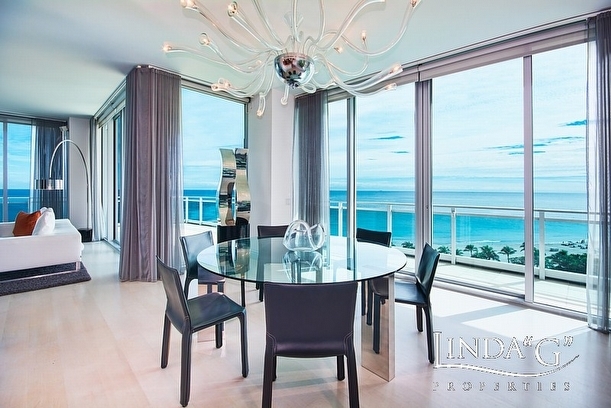 The unique location, directly on the ocean and inlet also assures residents of many of the most beautiful views available from any property in Bal Harbour and the surrounding South Florida areas. 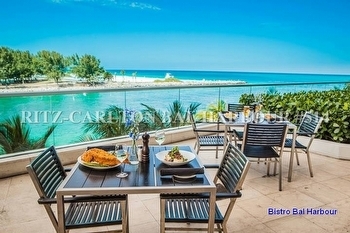 The world-class shopping and dining available at the world-renowned Bal Harbour Shops is just a short stroll from your ONE Bal Harbour home. Contact Linda "G" for more information on a wide variety of luxury South Florida condominium properties and listings or to view the currently available ONE Bal Harbour condominium residences. 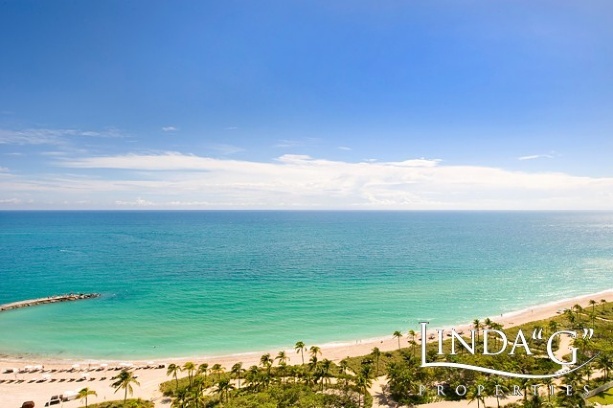 Linda "G"s website also features up to date information on the newest in oceanfront preconstruction and under construction condominium properties from South Beach to Fort Lauderdale. 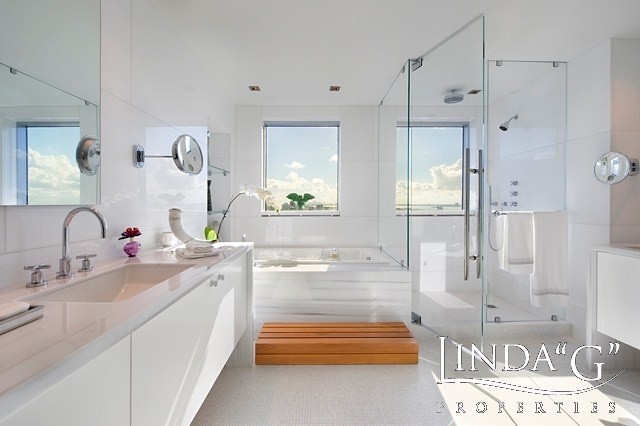 View more here on Linda's website. In her 20 years of selling luxury real estate, Linda "G" Gustafson has been privileged to work with the world's most affluent clientele throughout her exciting career. Linda G's integrity and strong work ethic enabled her to be a recipient of numerous awards including the Prudential Realty's Chairman's Circle Platinum Award, WCI's Top Producer Award, among other. 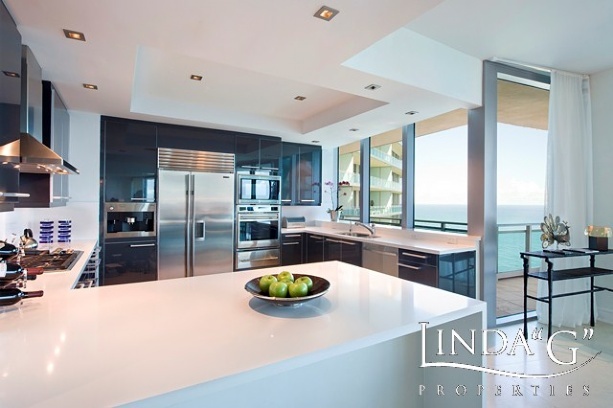 Linda "G" is also a select member of the Institute of Luxury Home Marketing, where she received the Million Dollar Guild Award for multiple million dollar-plus transactions. Linda G Properties 2 Recent ONE Bal Harbour Condo Sales. 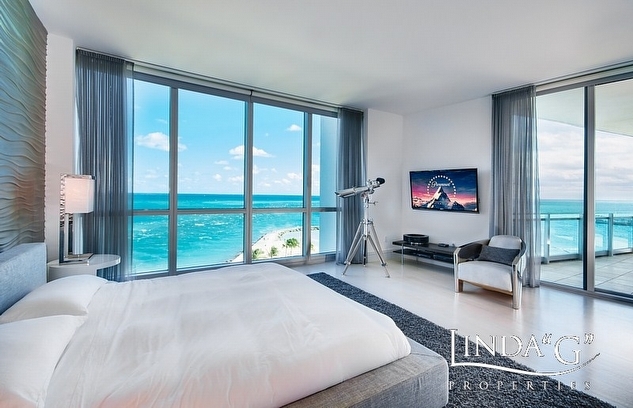 Linda "G" Gustafson and ONE Sotheby's International Realty Miami Beach announce the sales of 2 luxury condominium residences at ONE Bal Harbour. 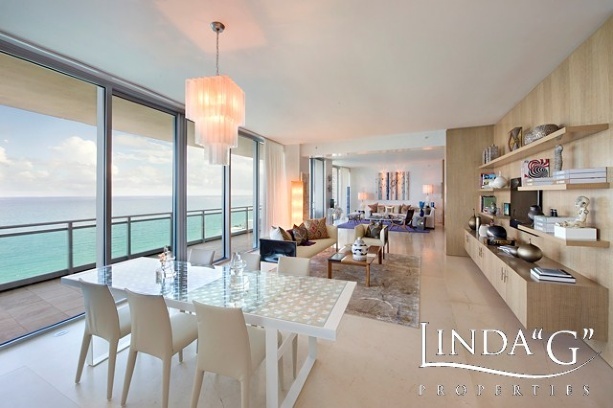 [ BAL HARBOUR, Fl 5-31-2013 ] Linda “G” of ONE Sotheby’s International Realty proudly announces the sales of two of her exclusive listings at the highly sought after ONE Bal Harbour. 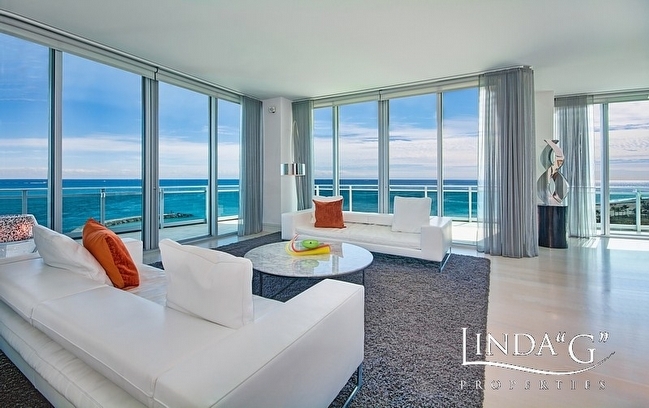 The 206 and 306 luxury residences were both 2 bedroom and 2 1/2 bath Inlet & oceanfront condominium residences. 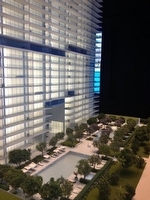 Each residence featured just over 2,000 sq. 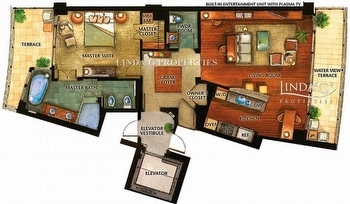 ft. of living space under air. 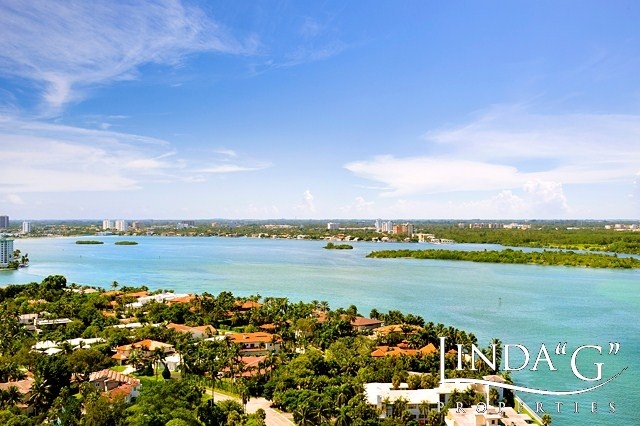 The two luxury condominiums were located directly on Haulover Inlet, with each offering stunning views of the ocean, bay and coastline, along with providing the residents the opportunity to enjoy the parade of luxury yachts and boats that traverse the inlet daily. 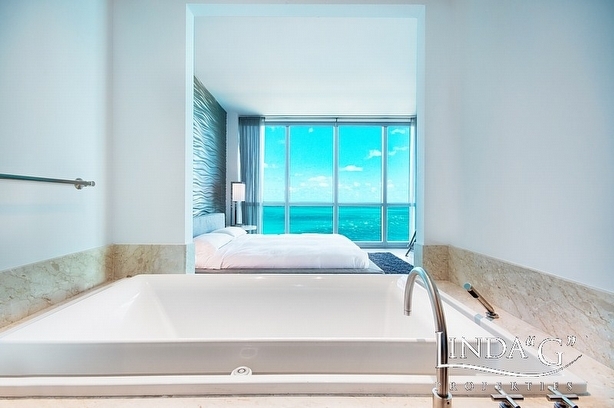 The residential amenities at One Bal Harbour include: private elevator into your private lobby area, expansive open floor plans, fully equipped gourmet kitchens with state-of-the-art appliances and beautiful baths with marble, large Jacuzzi soaking tubs and more. 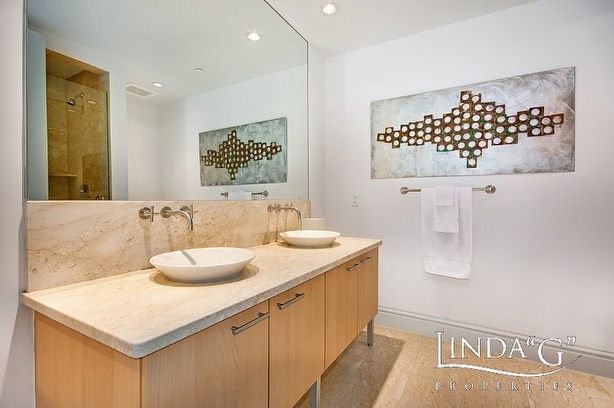 Each of these residences were finished with the highest quality finishes and details throughout. 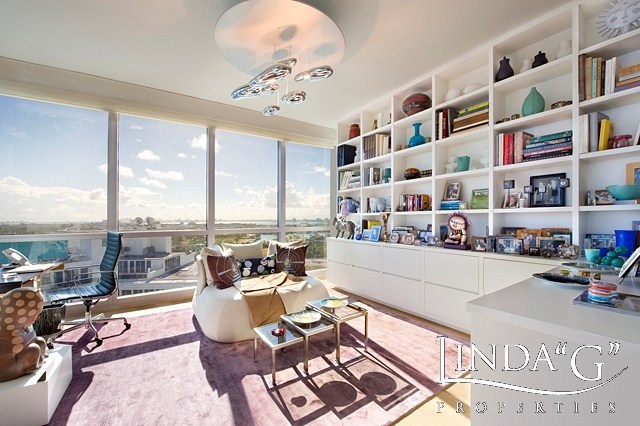 Unit 206 featured an oversized Lanai terrace and sold for $1,500,000, while unit 306 sold for $1,450,000. 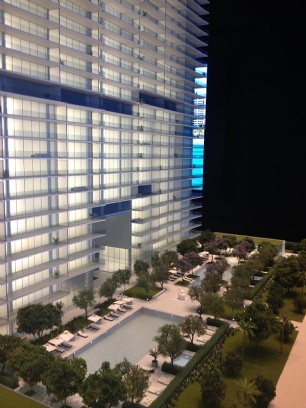 These 2 waterfront condos are two of only three residential condominiums sold so far this year at One Bal Harbour. 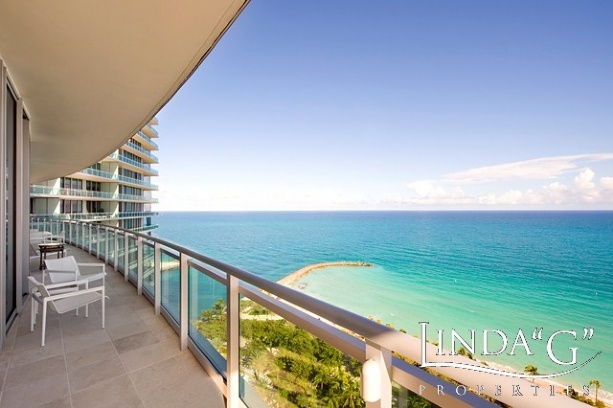 Linda "G" stated "The inventory of listings available for sale at ONE Bal Harbour has been at it's lowest since the building officially opened in 2007. ONE Bal Harbour has always been a highly sought after condominium property, and the fact that more owners are not listing their units even in this "sellers market" shows just how much the residents at ONE Bal Harbour enjoy living in this beautiful and unique property." 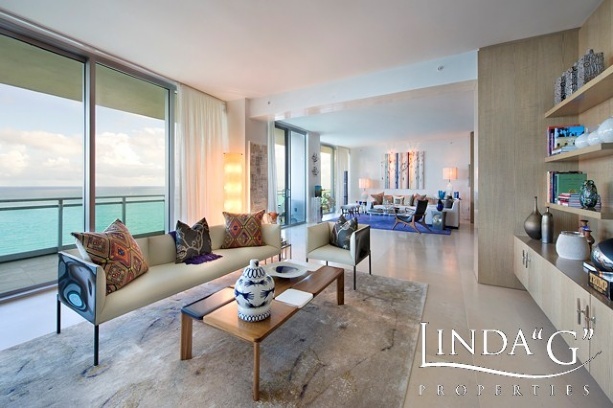 Beth Butler, President of ONE Sotheby's International Realty congratulates Linda "G" Gustafson, one of the company's top producing agents, with her 2 recent sales at ONE Bal Harbour. 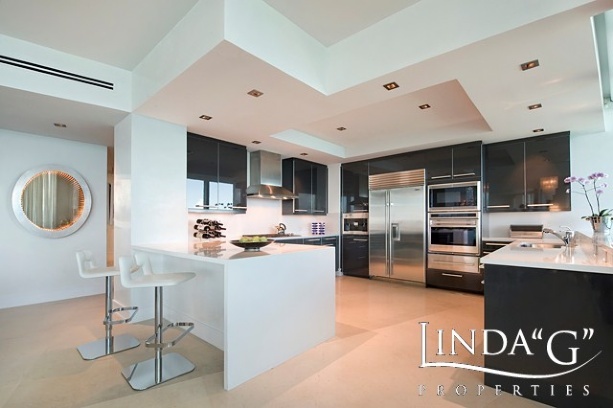 Linda "G" is the ONE Bal Harbour specialist and listing agent, utilizing exceptional marketing strategies and always working diligently in the best interest of her buyers and sellers. 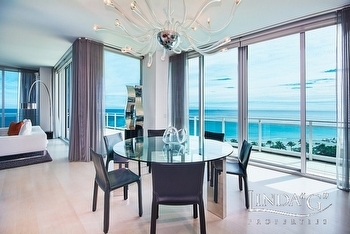 Linda "G" is considered by most in South Florida real estate as the ONE Bal Harbour expert, as she was on the original sales team for the developer, WCI Communities, and worked full time at the property as the oceanfront ONE Bal Harbour property broke ground and rose to become the iconic Bal Harbour condominium & resort property it has become today. 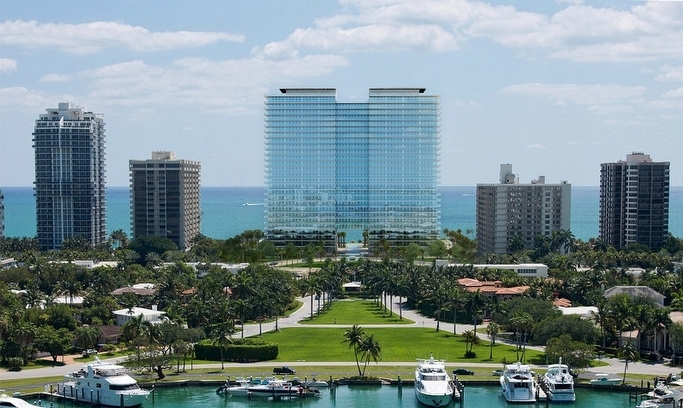 Today, ONE Bal Harbour is still one of the ultimate destinations for those visiting the world renowned village of Bal Harbour. 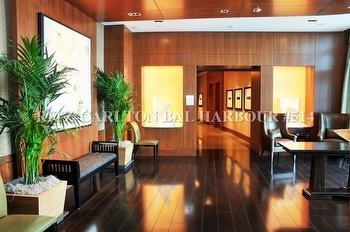 The resort & spa offers exceptional amenities and services throughout the hotel side of the property. All the amenities and services provided at the resort & spa are also available to all the full time residences, making this condominium property a highly sought after location to call home. The unique location, directly on the ocean and inlet also assures residents of many of the most beautiful views available from any property in Bal Harbour. 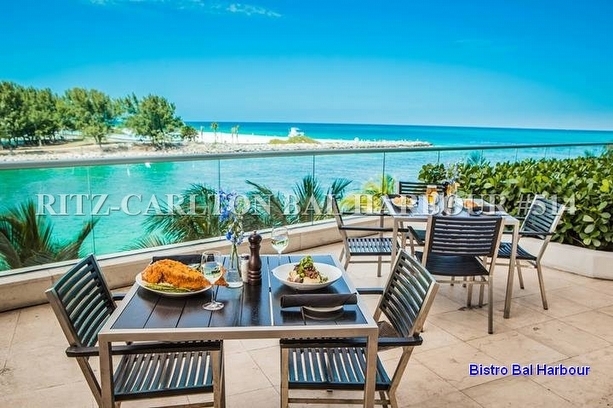 The world-class shopping and dining available at the world-renowned Bal Harbour shops is just a short stroll from your ONE Bal Harbour home. 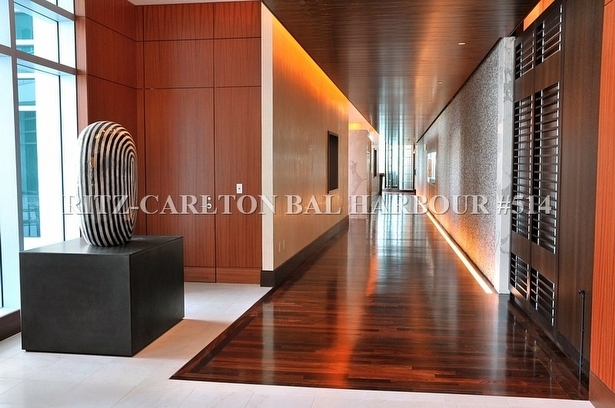 Contact Linda "G" for more information or to view currently available ONE Bal Harbour condominium residences. 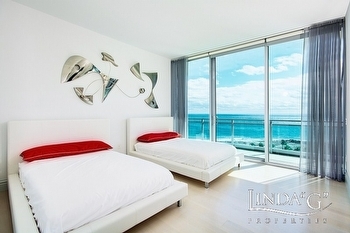 Linda "G" joined ONE Sotheby's International Realty approximately (3) years ago, providing the finest in luxury real estate sales and listings of luxury oceanfront condominium residences, and luxury estate homes specializing in Bal Harbour, Sunny Isles, Miami Beach, Aventura and select Palm Beach locations. 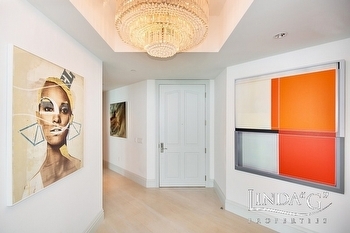 Linda "G" was honored as a Top Producer at ONE Sotheby's in 2011 with sales in excess of $30 million. 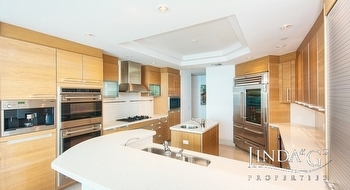 She achieved Top Producer status again in 2012. 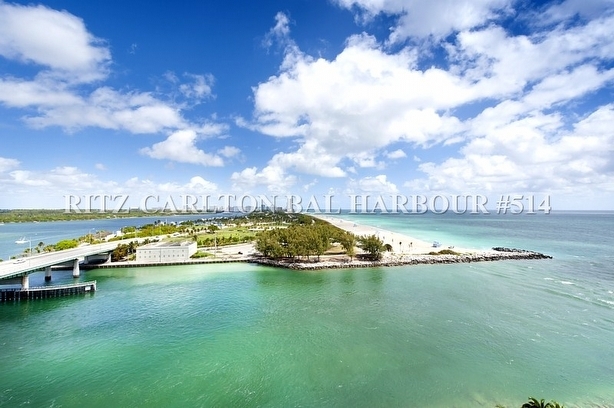 Her 2013 sales of her exclusive listings and other luxury oceanfront residences have already surpassed her 2012 sales in just the first 5 months. 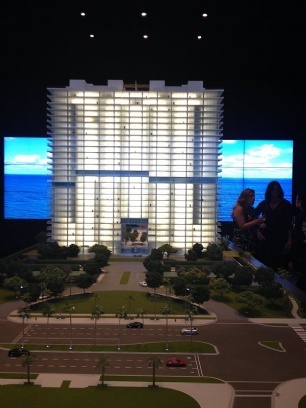 ONE Sotheby's International Realty is the fastest growing luxury real estate brokerage firm in South Florida. 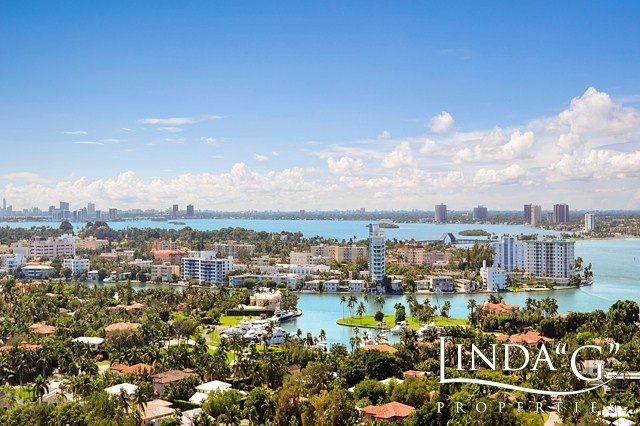 The firm has opened offices in Fort Lauderdale, Coral Gables, Miami Beach, Key Biscayne and Sunny Isles Beach and recruited more than 300 agents in just three years. An affiliate of Sotheby's International Realty, the global network currently has more than 12,000 sales associates throughout 600 offices in 45 countries and territories worldwide. ONE Sotheby's International Realty also benefits from an association with the venerable Sotheby's auction house, established in 1744.